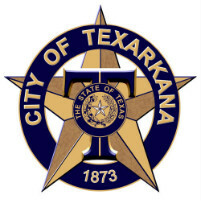 TEXARKANA, TX– The City of Texarkana, Texas is pleased to announce the appointment of Shirley Jaster as Interim City Manager. The City Council confirmed Jaster’s appointment on Friday, August 4th, 2017 after former City Manager John Whitson announced his retirement. Whitson served the City of Texarkana, Texas for the past 4 and a half years, and plans to retire to Oklahoma to live near his daughter and new granddaughter. Jaster, a Texarkana native, has filled various positions at the City of Texarkana for the past 25 years, most recently as a Deputy City Manager- Development. She has also been the Director of Planning, Director of Community Services, Director of Community and Public Works and Assistant City Manager. Jaster brings a wealth of knowledge and experience to the position and is looking forward to leading the city. Jaster plans to begin next week with a staff meeting. Mayor Bob Bruggeman said the City Council is confident in Jaster’s ability to lead. TEXARKANA, TEXAS-- The city of Texarkana, Texas has been awarded the Certificate of Achievement for Excellence in Financial Reporting for its 2017 comprehensive annual financial report (CAFR) by the Government Finance Officers Association of the United States and Canada. This certificate is the highest form of recognition in the area of governmental accounting and financial reporting, and its attainment represents a significant accomplishment by a government and its management. Last chance to see special exhibit on Jim Bowie and his famous knives at the Alamo!